Verbier: Chalet divided into 4 apartments with access either walking or on skiis via a country road to the Savoleyre ski lift, 500 m away. Small small apartment house "Pinot Gris". Above Verbier, on the outskirts, 1.9 km from the centre of la station, in a quiet, sunny position, in a cul-de-sac, south facing position. Motor access to 50 m from the house. Stepped path (60 steps) to the house. Public parking 3 km. Shop 1.9 km, supermarket 2.1 km, restaurant 1.9 km, bar 1.9 km, bakery 1.9 km, café 1.9 km, bus stop "Nifortsié" 500 m, thermal baths 2.5 km. Golf course (18 hole) 700 m, tennis 2.5 km, riding stable 2.5 km, sports centre 2.5 km, chair lift 1 km, gondola lift 1 km, skisport facilities 2.3 km, ski bus stop 50 m, ski school 2.2 km, ski-kindergarten 2.2 km, ice field 2.5 km, children's playground 1.9 km. Please note: ski bus (free of charge). Free ski bus service to the ski region Savoleyres à 1km, Carrefour à 1.km and Médran à 2.3km. Please note: nightclub/disco 1.9 km from the property. "Pinot Gris", 2-room penthouse 59 m2 on 2 levels, on the top floor, south facing position, practical and beautiful furnishings: living/dining room with sloping ceilings with dining table and cable TV. Exit to the balcony, south facing position. 1 room with 1 double bed. Kitchenette (oven, dishwasher). Bath/WC. Electric heating. Top floor: (steep stair) open small gallery with sloping ceilings, 3 beds. Small balcony, south facing position. 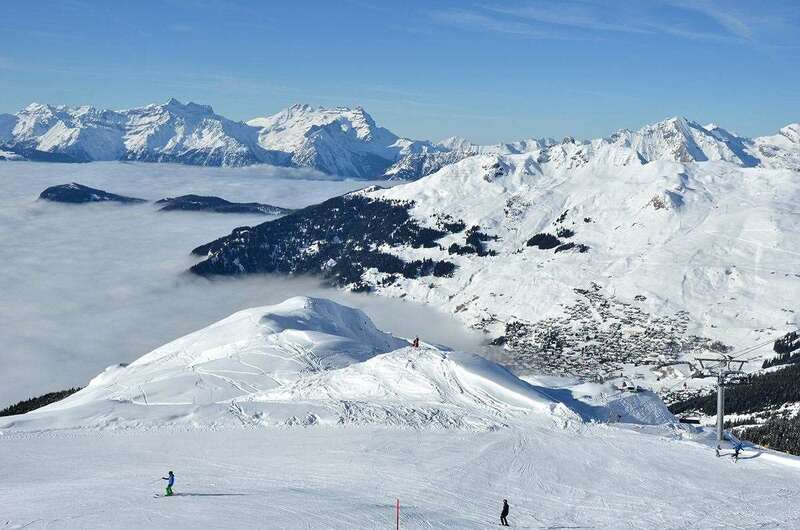 Very beautiful panoramic view of the mountains, the ski run, the countryside and the resort. Facilities: washing machine. Please note: non-smokers only, no parking. No lift.